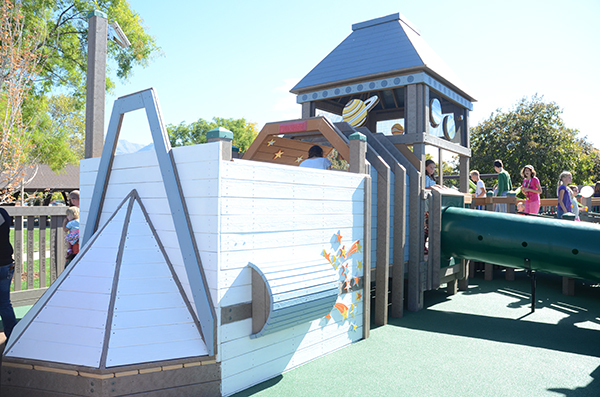 Children laughed and screamed as they ran around from one piece of equipment to the next, unable to quench their curiosity and sense of adventure. 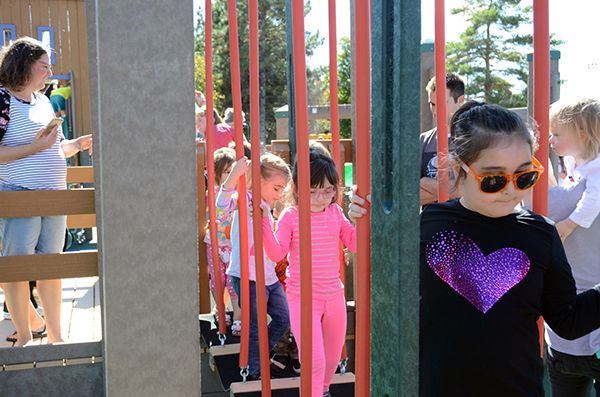 “Does anyone else want to play?” one child would ask, making the purpose of the new playground obvious — inclusion. 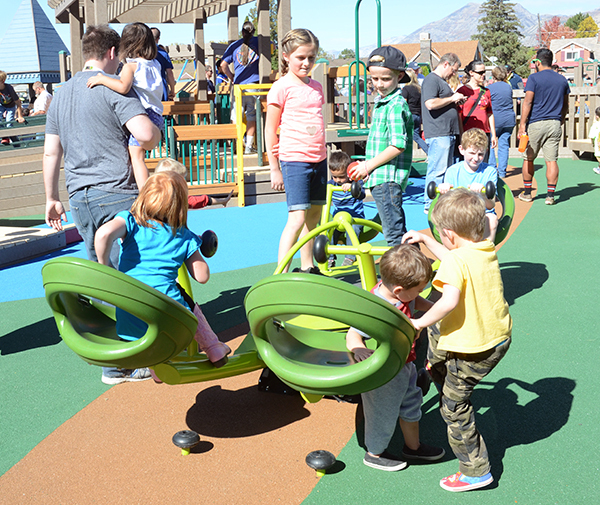 These are the new sights and sounds Orem residents should get used to at the All-Together Playground where everyone is not only welcome, but able to play no matter their disability. 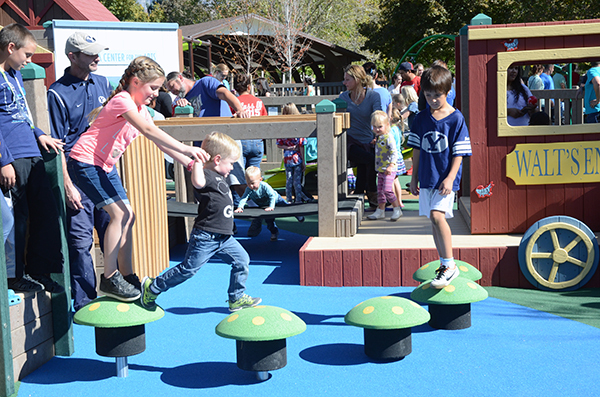 The first all-ability playground in Utah County was created to provide a place where kids with disabilities would have a chance to explore and play. 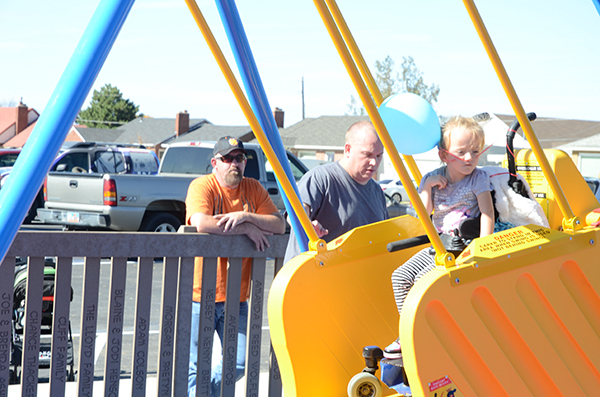 The city came together from businesses such as Habitat For Humanity, which donated all the tools for the playground, to all of the individual local volunteers who helped build the playground. 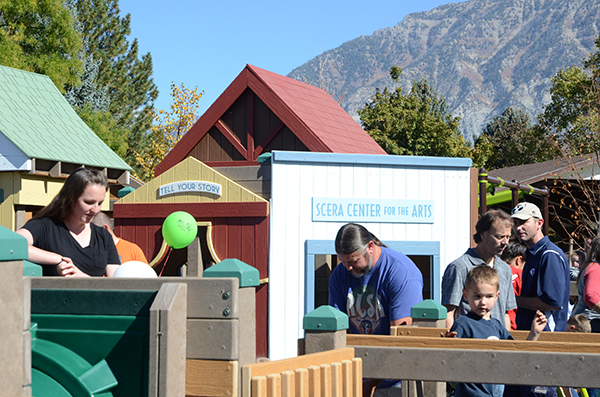 The All-Together Playground is open at Orem City Park from dawn until dusk. 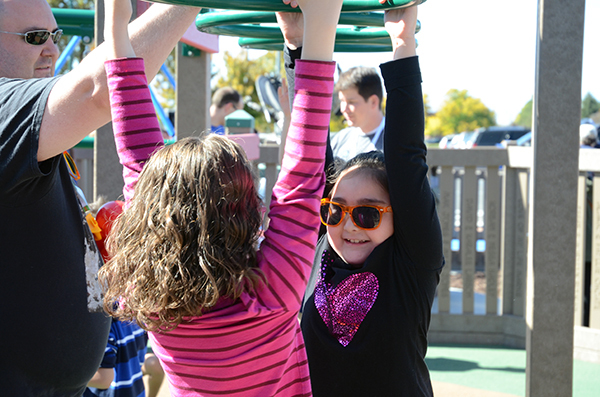 Here are 20 pieces of equipment at the All-Together Playground where everyone can play. 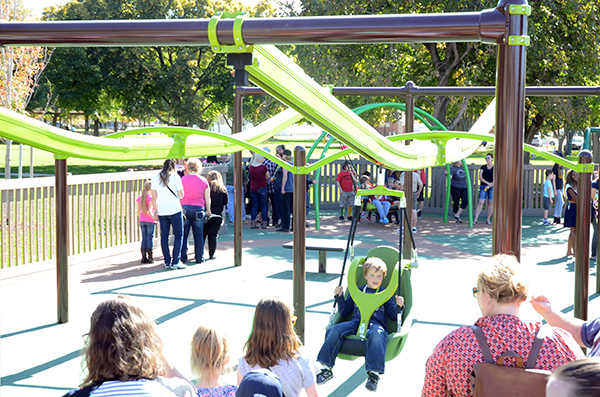 Part of the jungle gym provides a bridge to the monkey bars. There are a variety of different monkey bars from traditional bars to handles that are set lower to the ground for younger children. Giving another version of the monkey bars, these bars twist and have room for more than one friend. 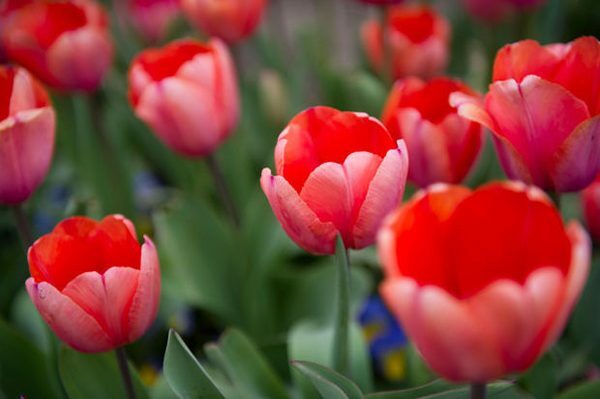 There are multiple miniature sights at the park you’ll recognize from around town. 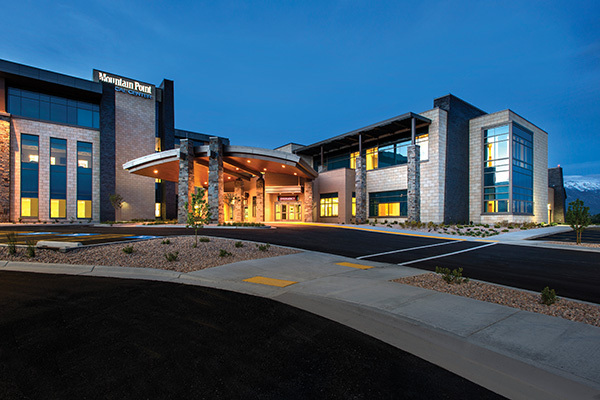 The SCERA Center for the Arts makes an appearance as does a tribute to the Timpanogos Storytelling Festival. 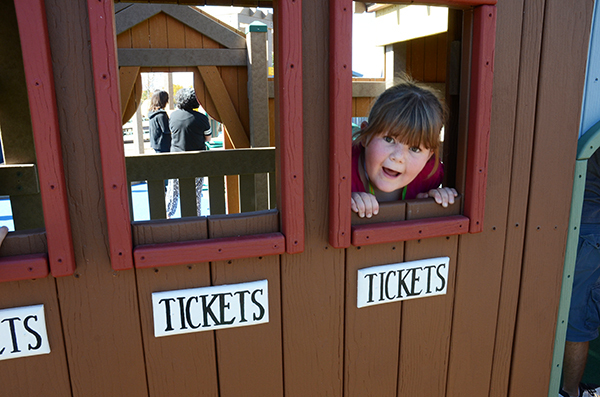 Providing opportunities for real-life imagination, there is a ticket counter for mini Orem. 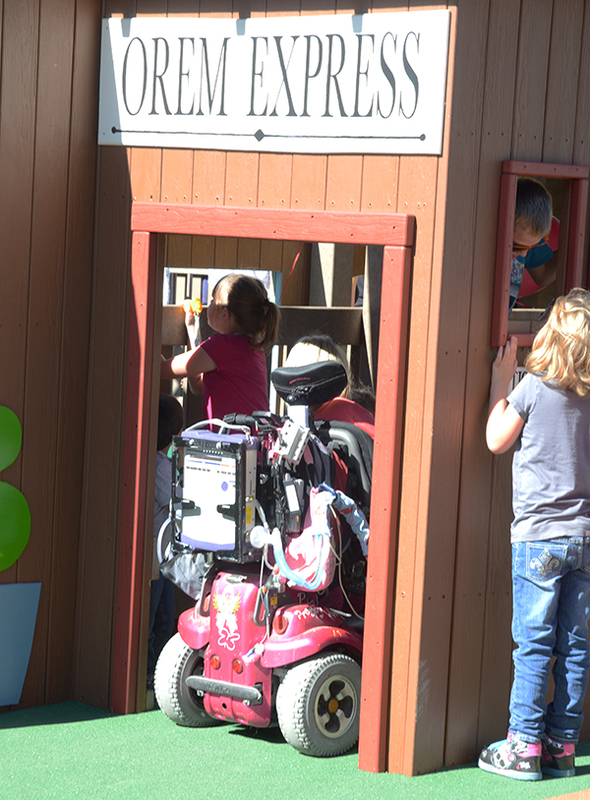 Openings are wide to allow wheelchair access throughout the All-Together Playground. 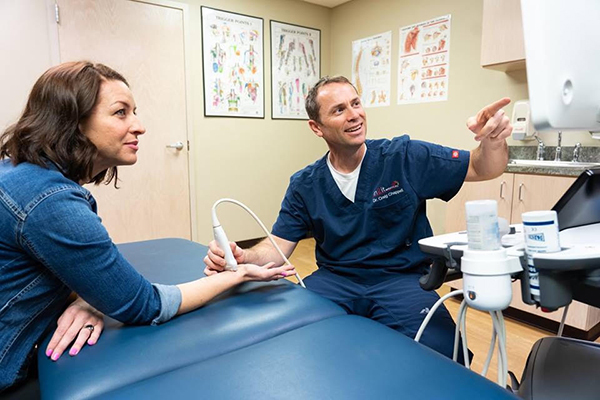 There is plenty of space around equipment to allow parents to join in the fun or observe kids playing safely. 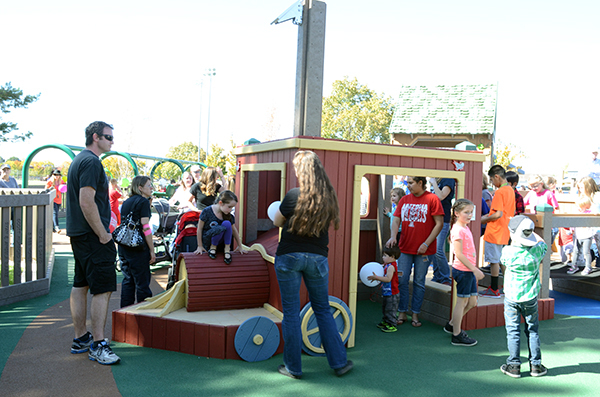 Like other playgrounds, the All-Together Playground provides equipment that helps with coordination. 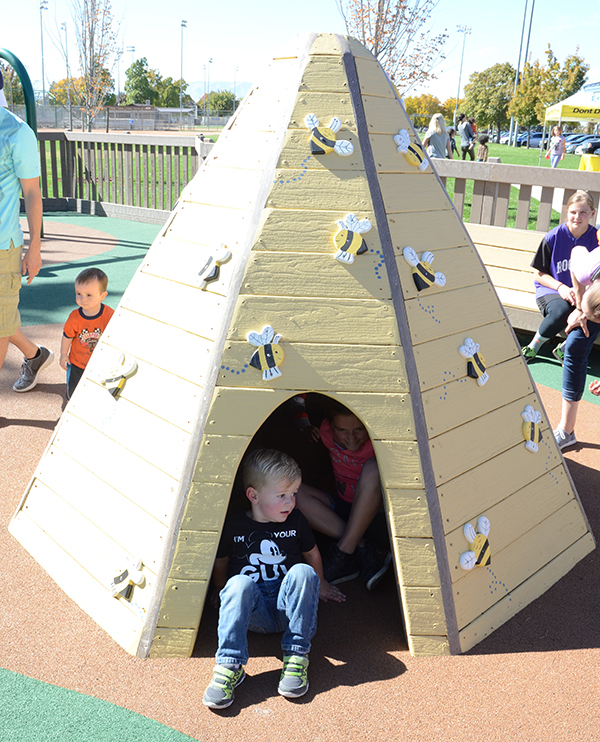 As a tribute to the beehive state, a teepee is set up like a beehive where kids can go inside. 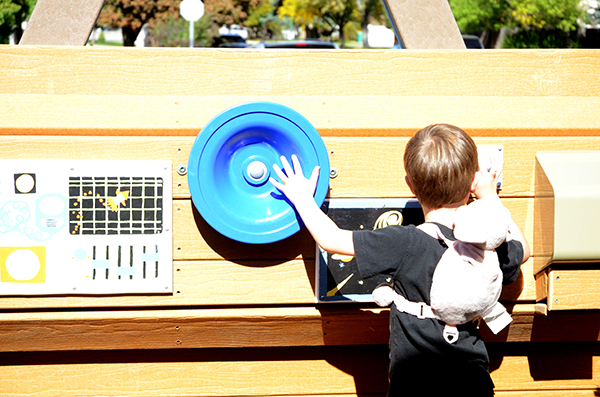 A space ship takes kids to another world of creativity. The themes carry on each jungle gym from the outside to the inside. 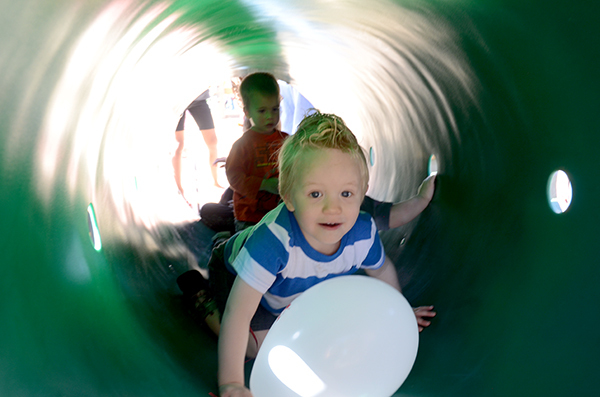 This may look like an ordinary tunnel, but the park includes an earthquake simulator. 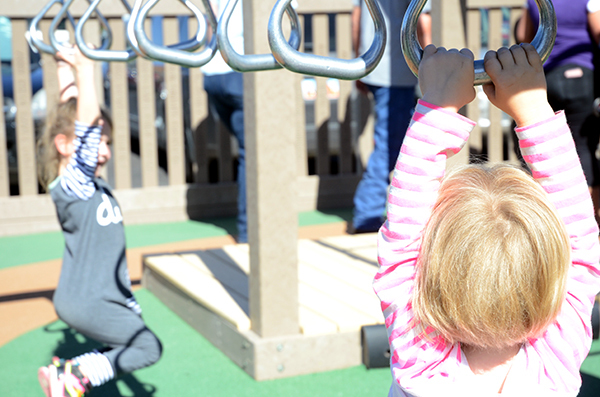 There are two types of zip lines at the All-Together Playground: one for sitting and another for holding on. 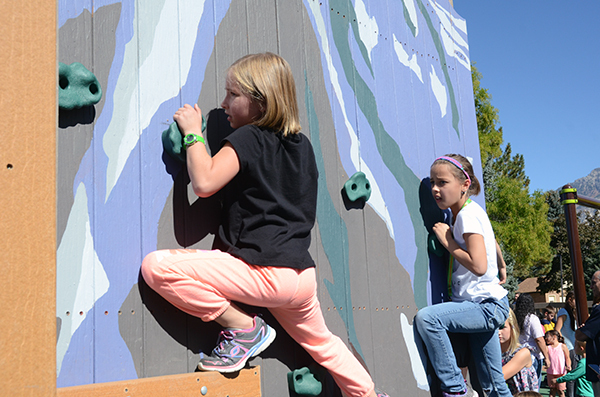 A rock climbing wall leads up to Brinley’s Castle. 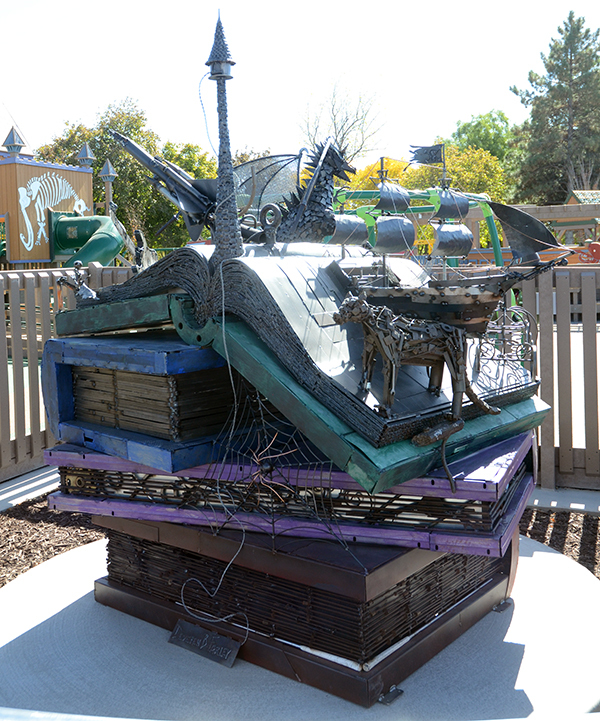 The castle was inspired by 8-year-old Brinley. 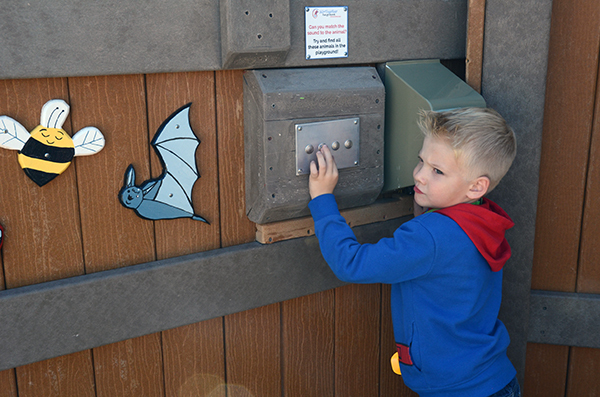 There are sensory and educational pieces throughout the park. This one, located in Brinley’s Castle, has kids match the sounds made by animals to the pictures. 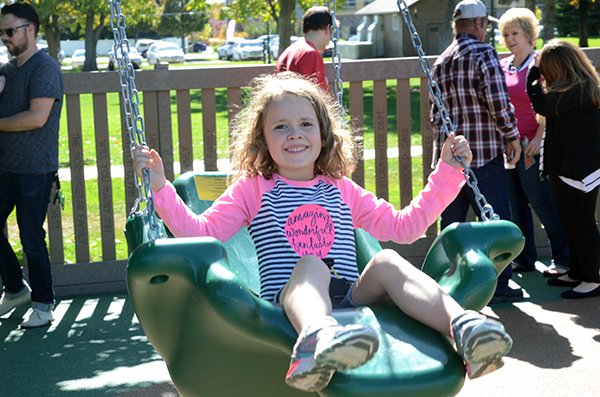 Large chairs are used for kids who can’t swing on their own. 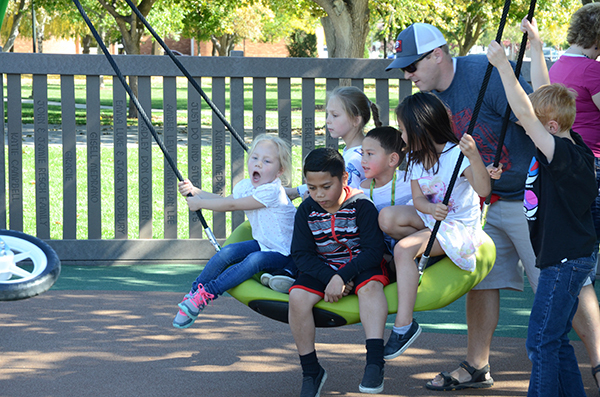 One swing allows kids to literally swing together at the exact same time. The Liberty Swing is a swing reserved for handicap kids in wheelchairs. Four kids can use the teeter-totter at once. 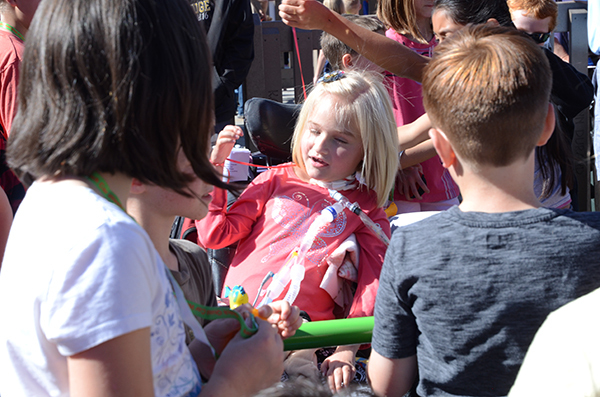 Presley Gleason, though confined to a wheelchair, spins on the merry-go-round with other kids at the All-Together Playground. 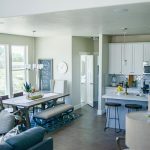 Great article EXCEPT if you are writing about an all inclusive playground, read up on how to politically correct say CHILDREN WITH DISABILITIES or CHILDREN WHO USE WHEELCHAIRS, NOT handicapped children.